This update includes the addition of an author field in Smart Libraries to enhance search capability. Minor bug fixes and tweaks have been implemented in this release. This update was released to address the reporting issue where page level tracking on PDFs was not being recorded on iOS devices. Microsoft Office document file support is now supported in Smart Library with a file size limit of 512mb. GDPR compliancy is in effect in the myINTERACT system as per the new global law. Smart Library has now been restricted for Microsoft Office documents. Minor bug fixes, tweaks and stability have been implemented in this release. iOS 10 compatible version of myINTERACT is now available on the App store. Minor bug fixes and tweaks have been implemented in this release for Nougat 7.0 - 7.1.1. Wall security is now available via a password, so now any content on the specific wall will prompt for a password each time it is accessed. Along with the ability to access events the functionality to Free up disk space for any content that make fill up storage on your device, using this functionality will clear the stored data. For Android users included to the events functionality is the option to unload assets from events and walls, this allows to free up any disk space taken up by assets on the device outside of events. 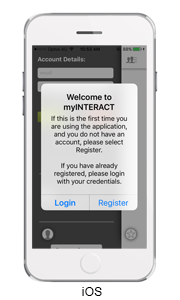 The registration process for myINTERACT has been simplified and for first time users now have the option to use their sign-in details from LinkedIn or Facebook. Other minor bug fixes and tweaks have also been implemented in this release. iOS 9 compatible version of myINTERACT is now available on the App store. 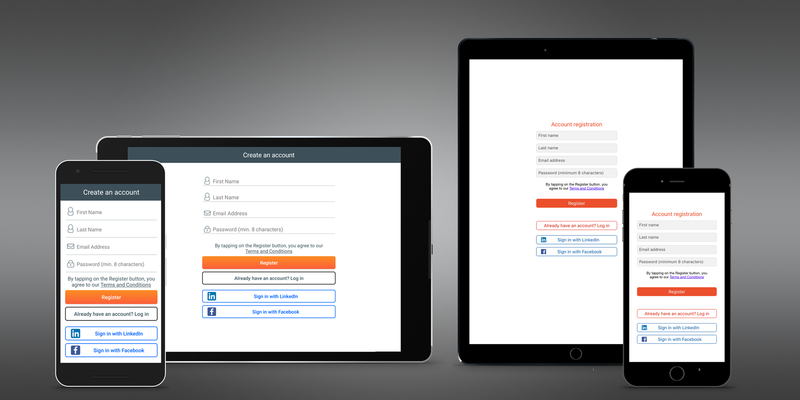 Easy registration with a simple user interface on Android and iOS devices, allowing the end user to simply choose between LOGIN and REGISTRATION after installing the app. The Activation email has been replaced with a Welcome email and email validation is now optional making it easy for your end users to register and access myINTERACT.